I was 59 years old. I was married for 37 years. We were very proud of our 2 adult children, both of whom were professionals and solid people. We had 1 grandchild. We had no financial worries. I had an active business that I enjoyed. I was healthy and fit and physically active. Life was good. I had rectal bleeding for over 2 years, but with a stereotypical aging male attitude, I declined all tests and examinations. Eventually I did succumb to a minor procedure to snag and remove hemorrhoids. But there were no hemorrhoids, just one polyp. The biopsy resulted in a diagnosis of Invasive Adenocarcinoma (Rectal Cancer) and the prescribed treatment was Abdomino-Perineal Resection (surgery with a resulting permanent colostomy). I had cancer. Life-expectancy was uncertain. In August 2009 I traded Rectal Cancer for Resection and a Permanent Colostomy. Very early in my Cancer&Colostomy adventure, I resolved that I will live. Any pain and body-damage will be just a minor side effect. After surgery, I will do everything that I could do before surgery. Nothing hurts. Never quit. This was all true then. It is still true now. Four months after surgery, I was back playing hockey. 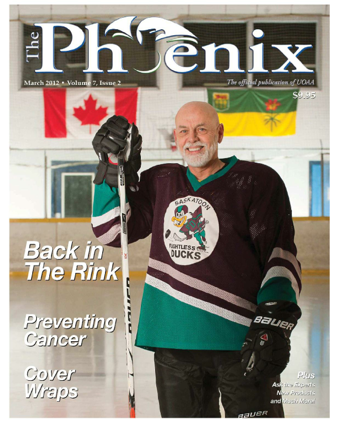 That caught the attention of the Phoenix Magazine, and they published a 5-page coverstory of my experiences, attitude adjustments, and comeback to hockey – and showing other hockey “tough-guys” the importance of prevention. For my first coloversary, I hiked the West Coast Trail – one of the Top-10 Treks in the World, traveling through pristine Canadian wilderness. Look for this story in the October 2012 Ostomy Canada magazine. Two years after surgery I trekked to Everest BaseCamp. EBC is a very special place. For some, it is a lifetime bucket-list highlight. For others it is the destination at the end of a long trek. But for the 5 cancer survivors there was a special connecting bond. A Colonoscopy is a simple and effective lifesaving procedure, yet many people still refuse or avoid. Even with daily rectal bleeding for over 2 years, I had declined all tests and examinations. With earlier detection, I would probably have avoided the surgery and permanent colostomy. We, the fortunate warriors and survivors, can save lives by educating others … one person at a time. I share my experience in person, and through social media. And it hits hard, particularly on hockey players. Over the past three years, I have had dozens of hockey players discretely tell me they recently had a Colonoscopy. Several wives (mostly with tears) told me they had been unsuccessfully ‘encouraging’ their husbands for years, but it was my experience that had convinced their husband to have the colonoscopy done. Hockey Associations across North America have pushed this message to over a 100,000 hockey players. I am humbly pleased that others have benefitted from my experience. 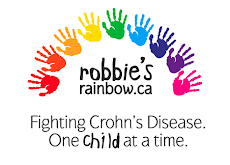 The Cancer&Colostomy was certainly life-changing. And in a good way. I appreciate life more than before. I have simplified life to do more of what I want to do, and less of what others think I am obligated to do. Dormant bucket-list adventures are now realities. When embarking on new life-experiences, or again experiencing treasured places or activities, I am humbled and thankful for the opportunity given to me. A colostomy is not as good as the original equipment, but I get to live. Living is everything. Three years ago my doctor told me I could have a perfectly normal life with an ostomy. I didn’t believe him then. I do believe him now. "There was a toilet seat and everything!"